^^^ The 2016/17 Conference South fixtures were released on 6th July. When I noticed - straightaway - that Fancy Dresslemania XVII would be taking place at Margate, my instant reaction was that the KSG should go as Only Fools & Horses characters in homage to Jolly Boy's Outing, the classic 1989 Christmas special. By the end of the month I had purchased a sheepskin coat from eBay for £10 (which my in-laws collected, on my behalf, from Herefordshire). 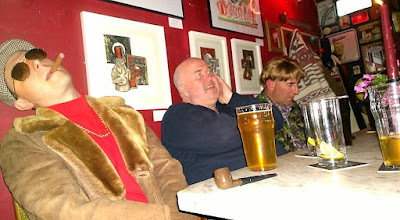 Over drinks at Christmas it was agreed that in addition to me as Del Boy, Macleod (C) would be going as Uncle Albert, Macleod (M) as Rodney, and Willie T as Trigger. Maidenhead were leading the league at Christmas. There was talk that, if we were lucky with injuries and suspensions, we might be in with a chance of promotion. But I don't think that many believed we'd last the pace at the top. We certainly didn't back in July; you'd have been laughed out of town for suggesting that Maidenhead would be title contenders. Indeed, that's exactly what happened when Ryan D said to me, in the clubhouse at Weston-super-Mare, immediately after Fancy Dresslemania XVI, "Forget the play-offs, (next year) we'll get automatic promotion!" The equivalent of "This time next year we'll be millionaires ... "
It was mentioned to me, on the train to Bath City at the beginning of April, that people probably think the lack of posts on here of late is down to Maidenhead doing so well under Alan Dev. To confirm: that's not the case. I've written before to explain that greater responsibilities at work and at home mean I haven't the time required. If things were different then this calendar year alone would've resulted in several Away Day Diaries of note: Gosport Borough, Hungerford Town, Chelmsford City, Weston (again), Bath itself, Truro City (ft. Hampton vs Wealdstone and a weekend in Newquay), plus accounts of home games with Slough Town (#stayingdown), Eastbourne Borough, Oxford City and, of course, Ebbsfleet United. (Perhaps a Season Review, during the summer, if time allows? UPDATE: FCVideo's excellent montage definitely worth a watch in the meantime; I particularly love the stand bouncing at Truro just before the 1 min mark!) 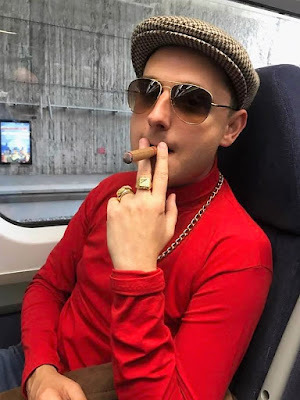 As it is, I genuinely wonder how the likes of Gandermonium are able to be so prolific while having to make do, myself, with four photos and 140 characters on twitter. Speaking of which, the increase in the number of people watching Maidenhead these days, coupled with the continued saturation of social media - incl. vlogs, Facebook Live etc. - has led me to think of the blog as somewhat outmoded. 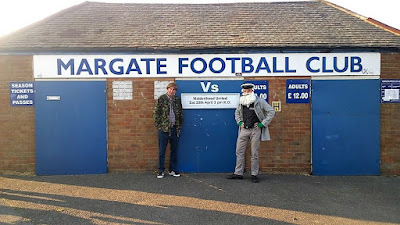 Regardless, there was always going to be a post re the Margate game. 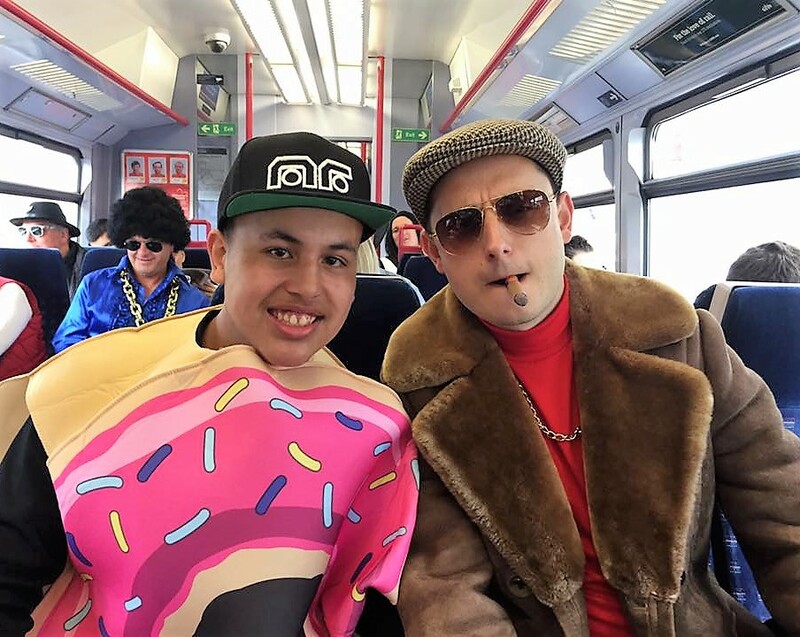 As Craig is now quick to remind me: it's all about the fancy dress! ^^^ That's how big this game was! 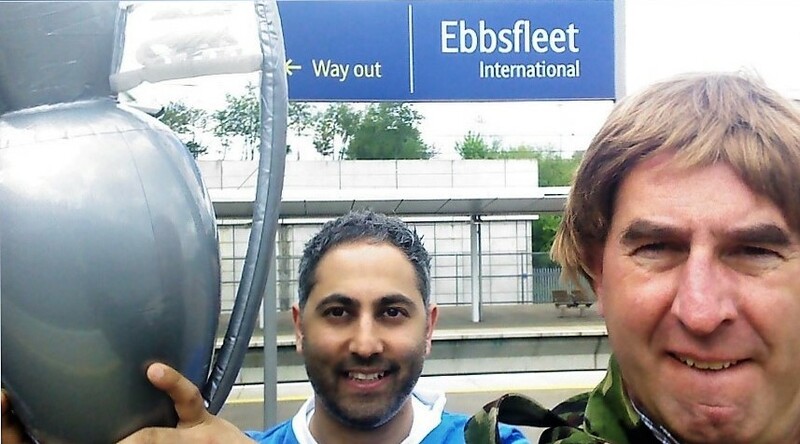 ^^^ Usually the KSG will be on a train departing Maidenhead an hour or two before the hordes. 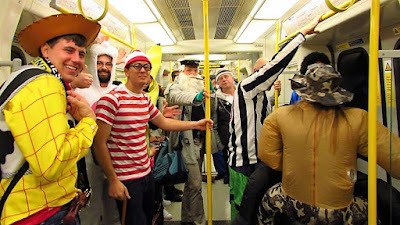 Last Saturday, however, the platform was heaving with fans - in fancy dress and already in good voice - awaiting the 08:47. Earlier in April I had attended a 'Speaking with Impact' training seminar with work. We'd been tasked with preparing a five-minute talk on a topic of our choice. 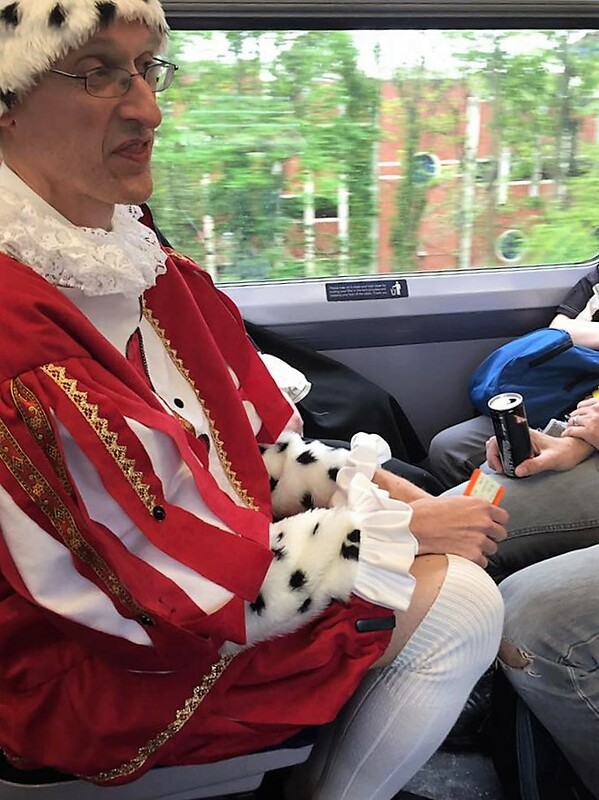 I'd opted for Fancy Dresslemania, discussing its increased popularity over the years and how proud I felt, seeing as we started the tradition back in 2001. 'From a handful to hundreds' was a phrase I used, adhering to one of the pointers - use of alliteration - that we'd been given. 'Hundreds' was artistic licence ... or so I thought. 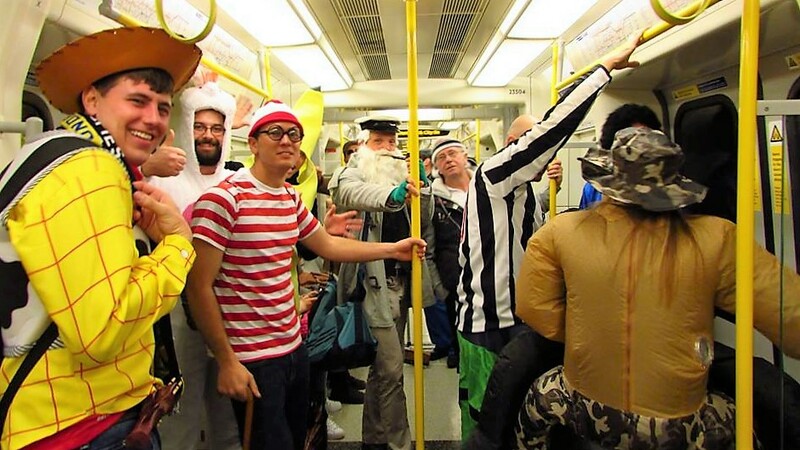 I was pleasantly surprised by how many were in costume, particularly at this hour! ^^^ You know it makes sense! ^^^ Some of the other costumes. 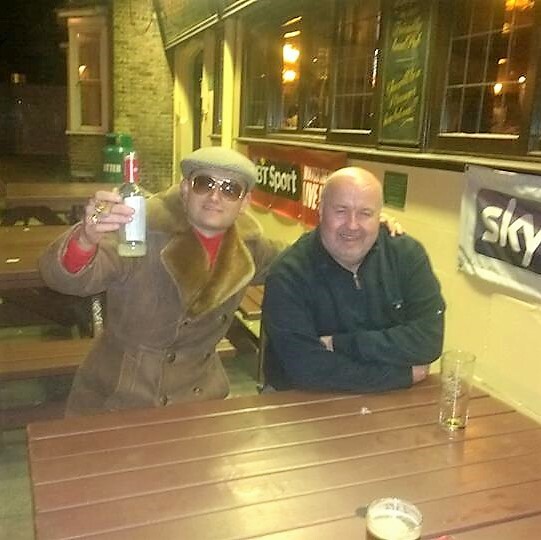 I'd been resigned to there being at least one other Del Boy. Nope, just me. 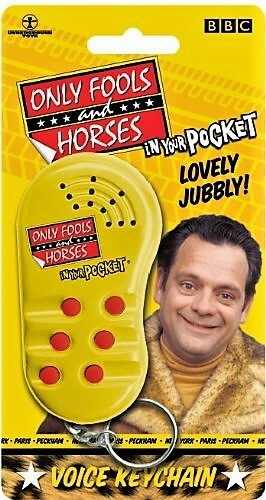 Lovely jubbly! ^^^ Uncle Albert had clearly been on a computer course! ^^^ We were joined at Slough (#stayingdown) by ex-player Mickey 'Vialli' Creighton - 198 starts, 78 goals - with his better half, both in costume, and Steve A (more on him later). Plus this doughnut. ^^^ Disaster at Paddington. No, not bumping into Corey Jesus and some other HAYU fans dressed as Power Rangers. Rather our lack of experience re travelling in a large (ish) groups got the better of us and we inadvertently splintered. ^^^ On the Hammersmith & City line. ^^^ Some (incl. 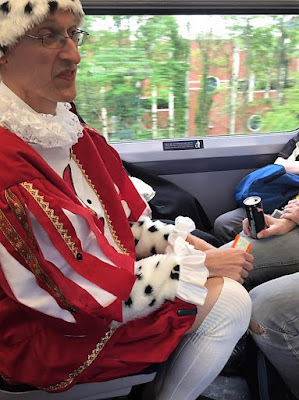 Rodney) legged it for the 10:06 from St Pancras. Del, Albert and Trigger managed to catch the scheduled 10:22 departure with time to spare. Others only just about made it. Shambles. Del wasn't happy. Mon dieu! ^^^ To be fair to Rodney, he did get off the quicker, earlier train at Ebbsfleet to join us on the slower, later train. And he did take the opportunity to pose for a photo with LCG Sanjay and an inflatable trophy. The only trophy that would be held aloft in Ebbsfleet that day! 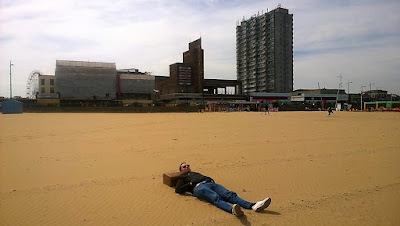 ^^^ Arrival in Margate, as planned, just before midday. ^^^ This mural was around the corner from the train station, on the A28, overlooking the seafront. ^^^ Cue lots of photos, incl. 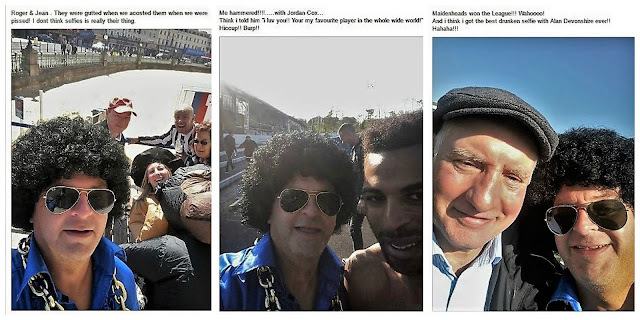 one that made it to the Football Away Days page on Facebook. 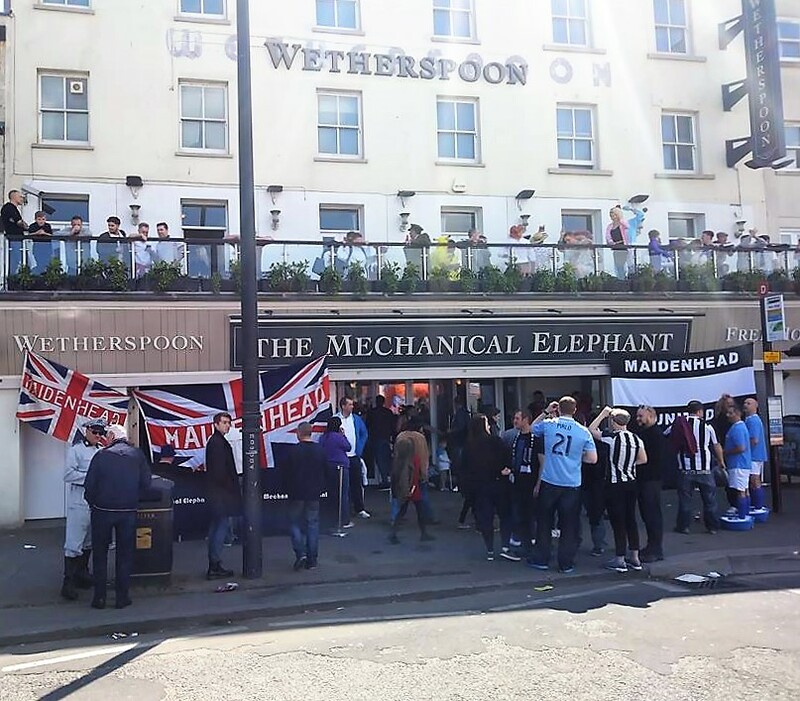 ^^^ The travelling hordes set up shop in the Wetherspoons while the KSG went in search of our Airbnb accommodation. 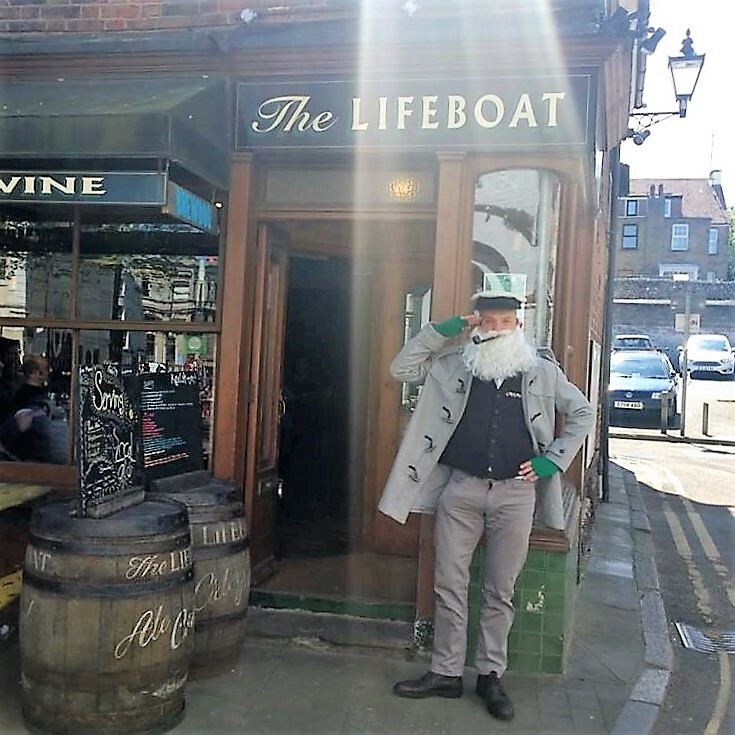 Fair play to Albert for thinking of this as an option, with the Premier Inn and other budget hotels all booked up (it was, after all, a bank holiday weekend); we ended up with a characterful, three storey, four bed, Victorian terraced house close to the Old Town. Cost? £28.75 each. ^^^ Alcohol was consumed and songs were sung. Dan Darlington's ears, if not his eyes, could attest to this. ^^^ The KSG's first port of call though, post check-in, was the Lifeboat. 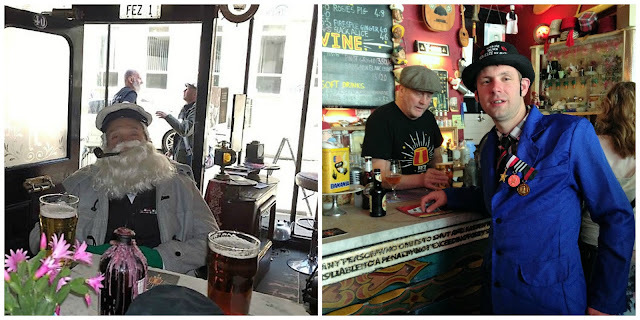 Decent, reasonably-priced ales but we were joined on the benches outside by a particularly crazed jakey. 'Why didn't you just go inside?' I hear you ask? Cloughie was in there. ^^^ My first visit to Hartsdown Park. Up Down there with Poole, Whitehawk, Concord, East Thurrock, and Truro, in the list of truly sh!t Conference South grounds. No terracing at all behind the goal we were attacking (thankfully) in the first half, as evidenced above by a photo of the LCG Subbuteo team. ^^^ Carnage. Everyone knew what this goal likely meant, not least the players. ^^^ A third goal - Pritchard's second (via a Sean Marks deflection?) - sealed the deal. Conga time! Dan Darlington called it. ^^^ Delirium. 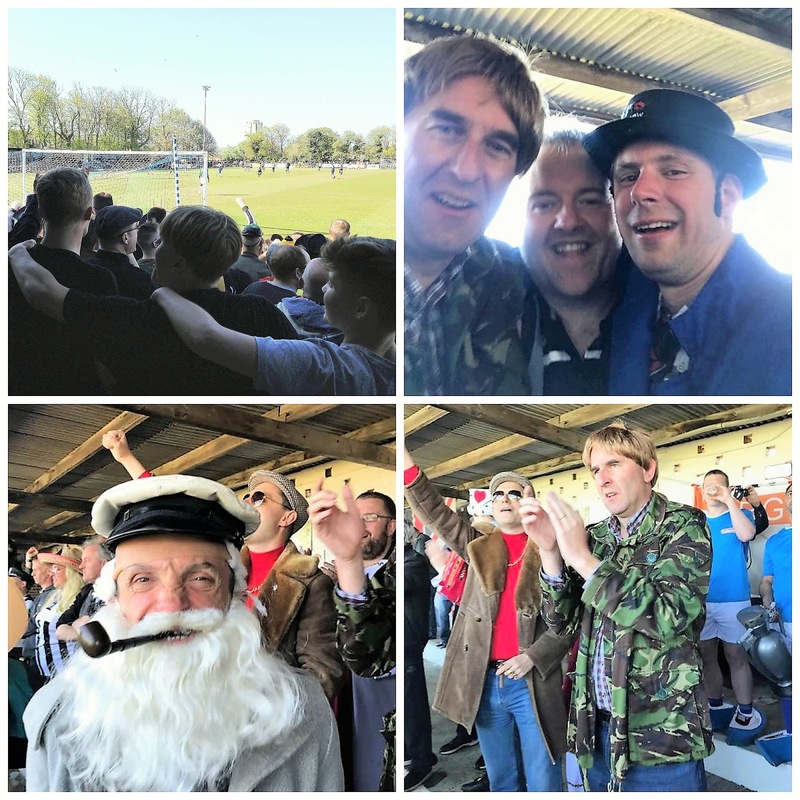 Singing, hugging, the collective shaking of heads in disbelief that 'it' - Maidenhead United winning a league for the first time since 1962 - was actually happening. This last half hour or so probably as good as it will ever get. 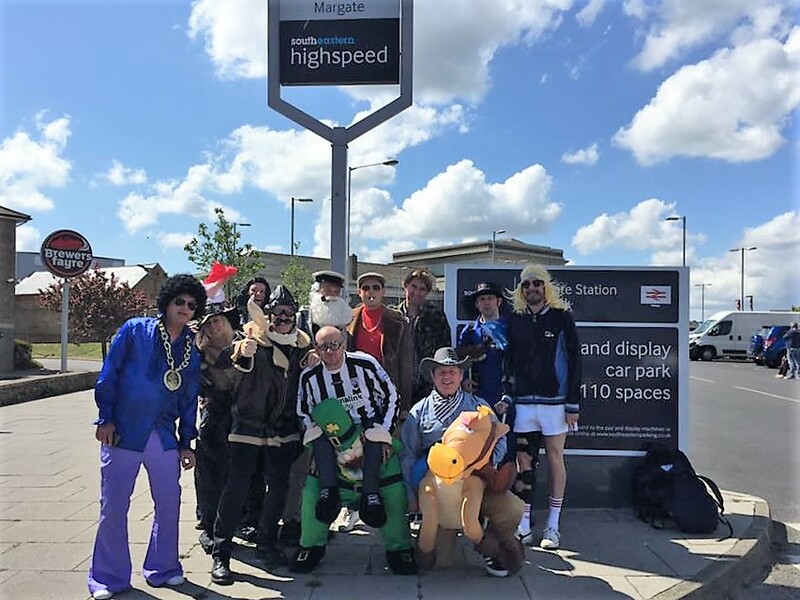 Those wanting to re-live the moment are in luck as Maidenhead Taxi OntimeCars was live! ^^^ You are my Bell End. "Please keep off the pitch," was the gist of an announcement made over the tannoy. Fat chance! 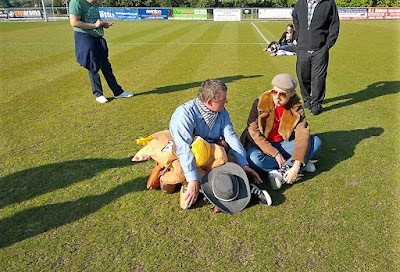 Links to videos of the inevitable pitch invasion: @fc_video, @MUFCYorkRoad, @Stax1970, @BBCBerkshire, @TheNationalLge. ^^^ Rodney had headed straight for the changing rooms and Alan Dev. He's name-checked by the manager about 10 mins or so into an interview on the Advertiser podcast. Promotion to the Football League is, apparently, the new target. Chateauneuf du pape! ^^^ As Christian Smith mentioned on twitter, the celebrations were tiring! ^^^ I took and tweeted this photo either side of calling my Dad. He pointed out that my late Grandad, who first brought me to York Road as a toddler in 1985, would've been overjoyed by this title win. Indeed. It made me think of other absent friends. #emotional Anyway, the aforementioned tweet prompted a slew of congratulations. Callum the Dover Athletic fan was among the first. 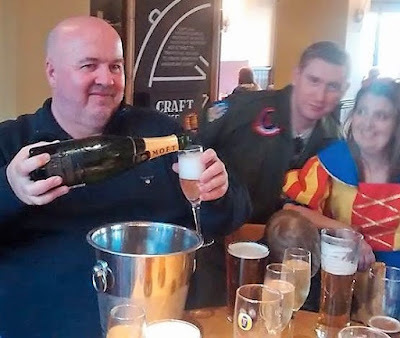 'One long whingefest about who's club is more sh!t' he had written on his blog to describe the post match beers that followed our 2-2 draw at Fancy Dresslemania XII in 2012. (And he wasn't wrong.) 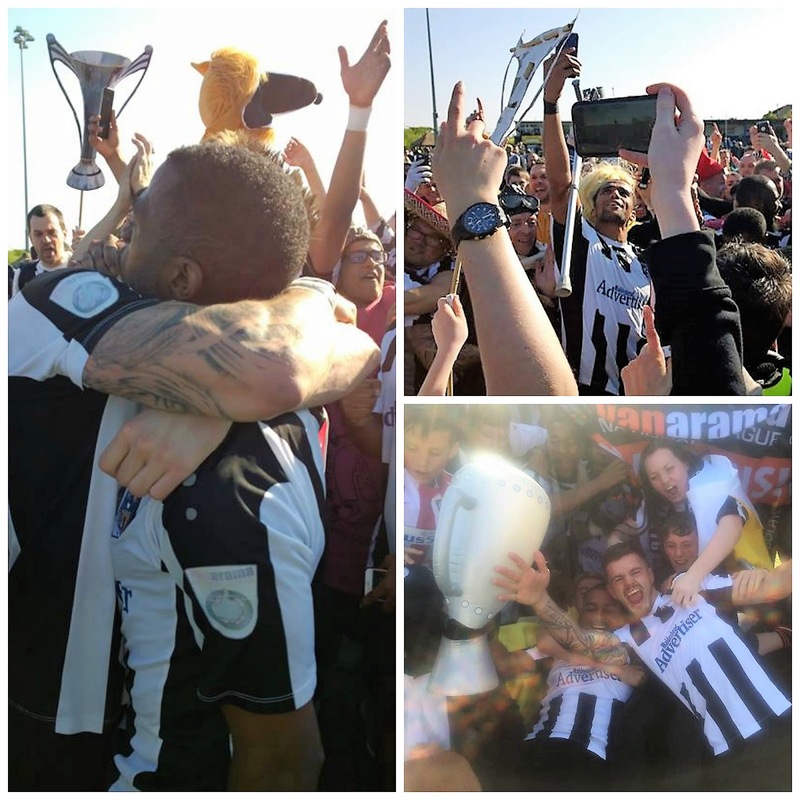 Next season, Dover vs Maidenhead will be a National League fixture! Pas de Calais, Rodney, pas de Calais! ^^^ To the clubhouse, eventually, and my Only Fools & Horses 'In Your Pocket' voicebox - which had been delighting me, and unsuspecting members of the public, if not my travelling companions - ran out of juice. Rodney mentioned that a Fancy Dresser of my experience should've had a miniature screwdriver and spare battery to hand. He had a point. 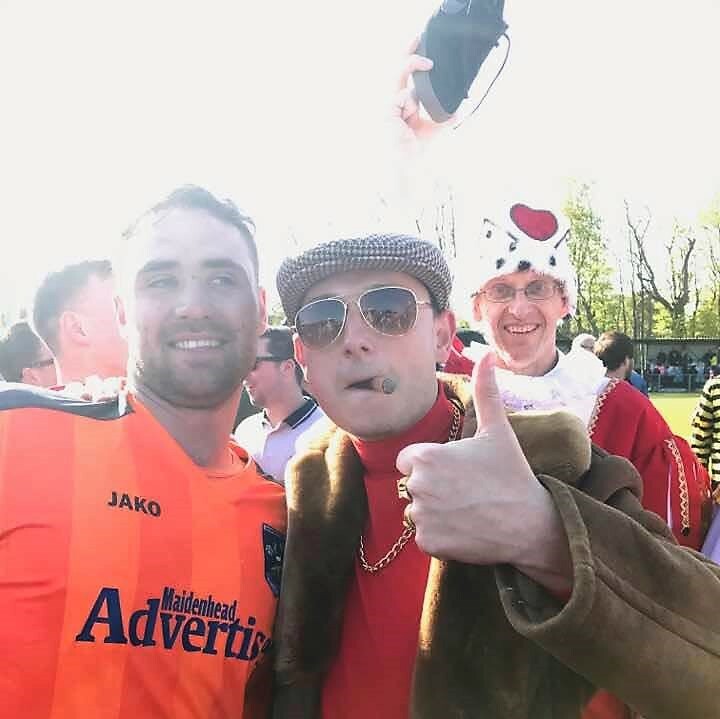 Margate were holding their end of season awards and one steward kept shushing us, despite the fact that it was the bar staff who were making the offending noise. 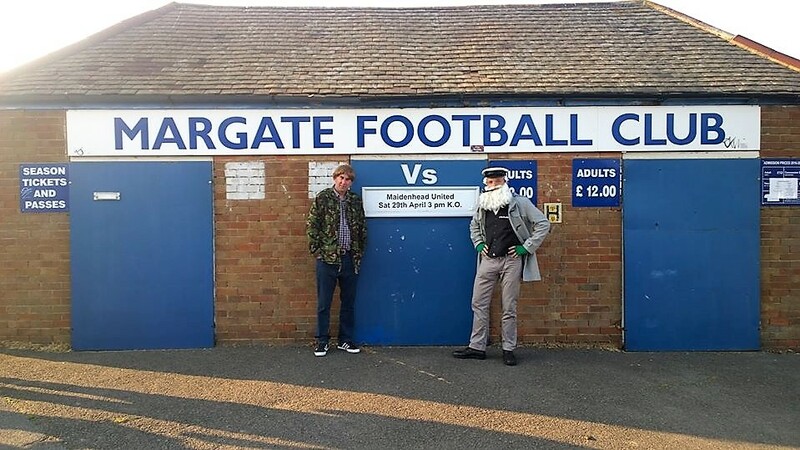 Still, Margate were excellent hosts in general and I'd like to wish them all the very best; hopefully they can make a return to the Conference South sooner rather than later. 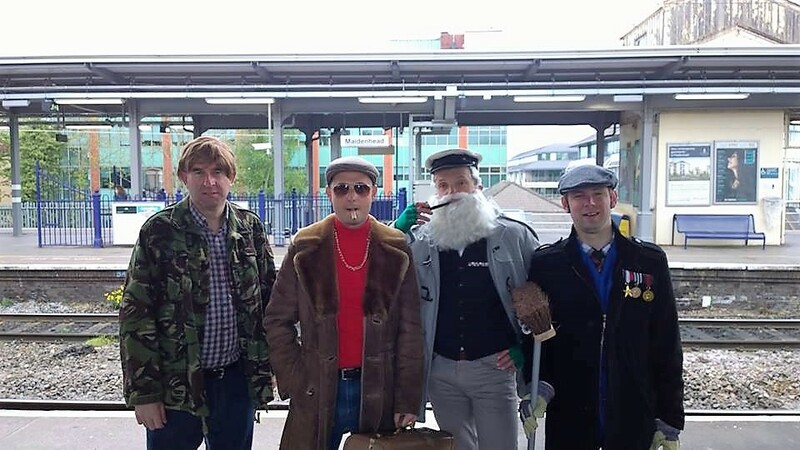 ^^^ Photo taken while Trigger, the Creightons, and Steve A, waited for their taxi (and before the Trotters waved off the team coach, en route to Wembley and the big fight). ^^^ Steve A is the younger brother of MUFC Hall of Famer Garry Attrell. 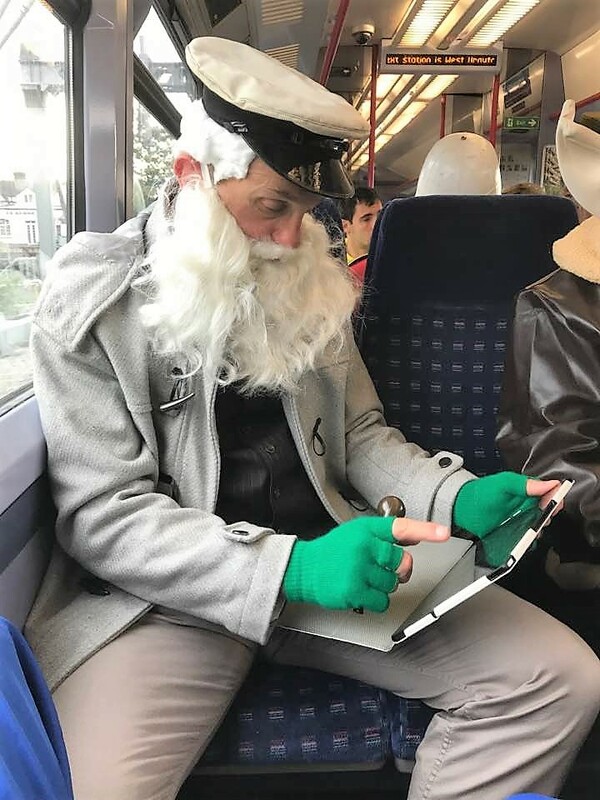 Banned from watching his hometown team, Slough Town (#staying down), or at least from travelling on their supporters coach, he hopped on the Maidenhead bandwagon. And I bet he's glad that he did! He's a welcome addition to the group, if only because of his amusing Facebook updates! ^^^ The Trotters, Craig, and the Smiths, walked back into town. Several Whitehawk stickers were Bellended as we went. ^^^ Most had caught the train home - jumping out at a certain station en route to point out, in song form, that a certain football team had finished second with 96 points fcuked it up - by the time that we made it to the Wetherspoons. Kevin - longtime Tartan Army and Chelsea mate of Craig's - bought us a bottle of champagne. Tres bien ensemble! ^^^ We left the Wetherspoons shortly before 9pm. 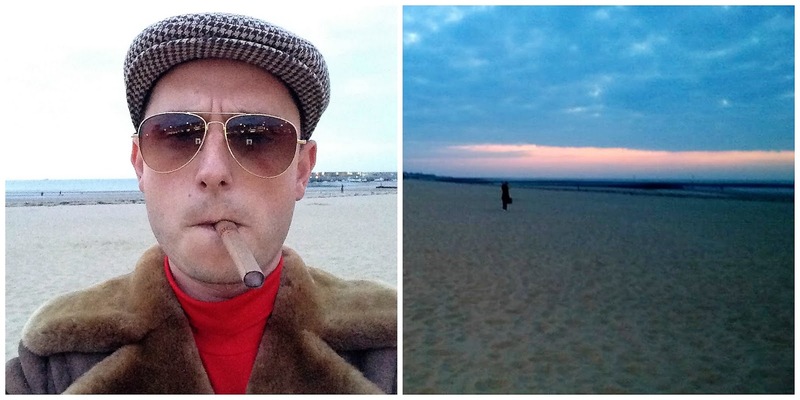 Del Boy went on the beach for a selfie. Both of the above photos were taken at more-or-less the same time. The noticeable difference in light and colour can probably be explained by the fact that Del's mobile phone was likely made in Albania. ^^^ Back to Fez. 'York next season then?' texted the wife, expectantly. Alas. 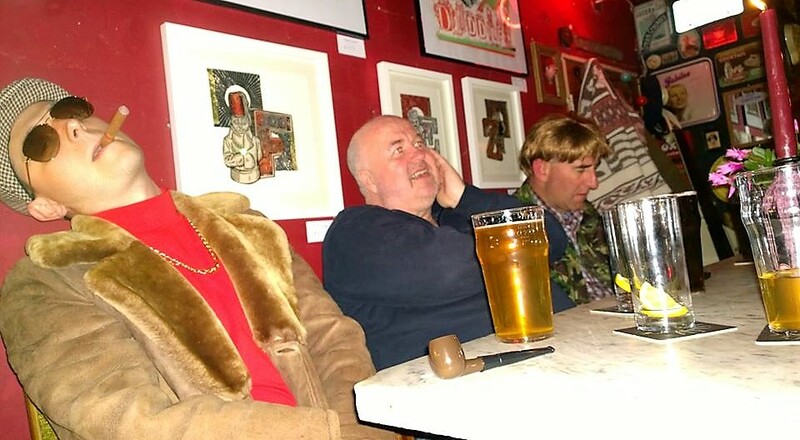 ^^^ Craig, Albert, and Rodney, watched the boxing in a packed Imperial Lounge, which was as godawful as its name suggests. Del sat outside, overlooking the beach and chatting with a hen party, before leading the way to the Nag's Head Wig & Pen. Conversation, sat outside here (above), centered on 'turning points' of the season. Whitehawk in August (our first away win in nine months), Ryan Upward's late winner vs the same opposition in mid-Feb (on the back of defeat at Hemel), and the 1-0 win at Chelmsford in early March (which took us back to the top, a position that we wouldn't relinquish), were among the nominations. Unlike Weston, for example, this seaside town wasn't lively at all, especially bearing in mind that this was a bank holiday weekend. The only nightclub in the vicinity appeared to be Kabuki. Japanese for 'hellhole', one imagines. We headed back to the Airbnb, via a kebab shop, and were home not long after midnight. Albert raided the fridge for cheese and Bailey's. Del and Rodney fell asleep on the sofa. It had been a long and momentous day. ^^^ Up bright and early (!) on the Sunday. After a fry-up at the Old Town T Stall, we headed to the Stone Pier. ^^^ The Harbour Arms was, sadly, shut - which rather sums Margate up - so instead we had coffee in the artisan cafe next door. ^^^ All smiles. Still champions! Dreamland, of course, is the National League. Possible destinations for Fancy Dresslemania XVIII include Hartlepool, Gateshead, Macclesfield, Wrexham, Torquay, Chester ... or Sutton for a third time! Incredible. To put this achievement into some perspective, there will be an open top bus parade on Saturday. (Don't laugh!) 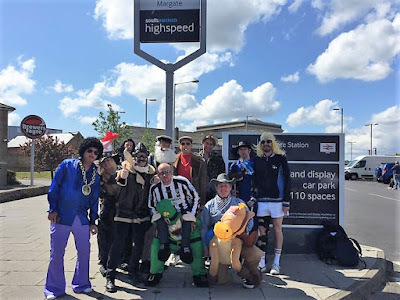 The last time that Maidenhead players took a bus ride around town was when Drax attempted to end another York Road winless run by pretending we had an away game! ^^^ Thanks to the players and management staff, for making the dream become a reality. Also to the KSG and friends (particularly those who have provided photos for this piece), plus fellow members of Alan Devonshire's Black & White Army in general, who have contributed immensely to the experience. And to those from other clubs who have sent their congratulations. See you next season! 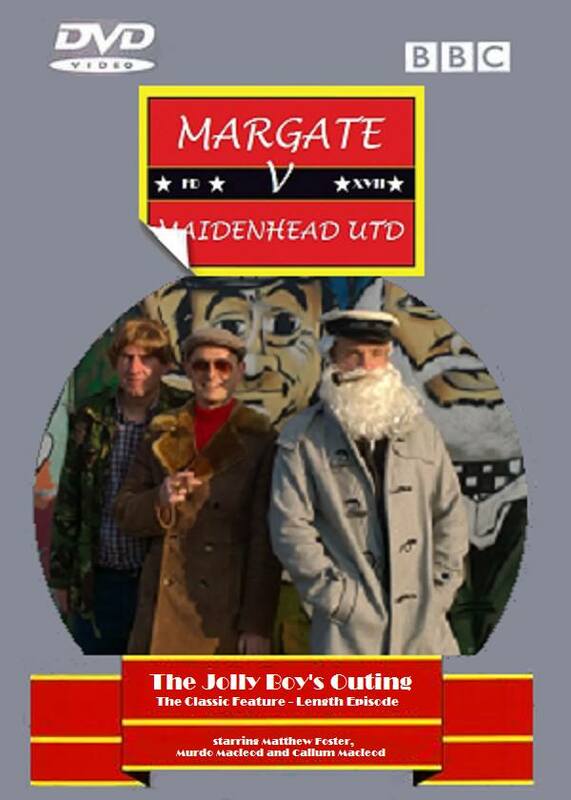 *** MORE MARGATE PHOTO GALLERIES: Maidenhead Advertiser, Marc Keinch, MUFC Facebook. 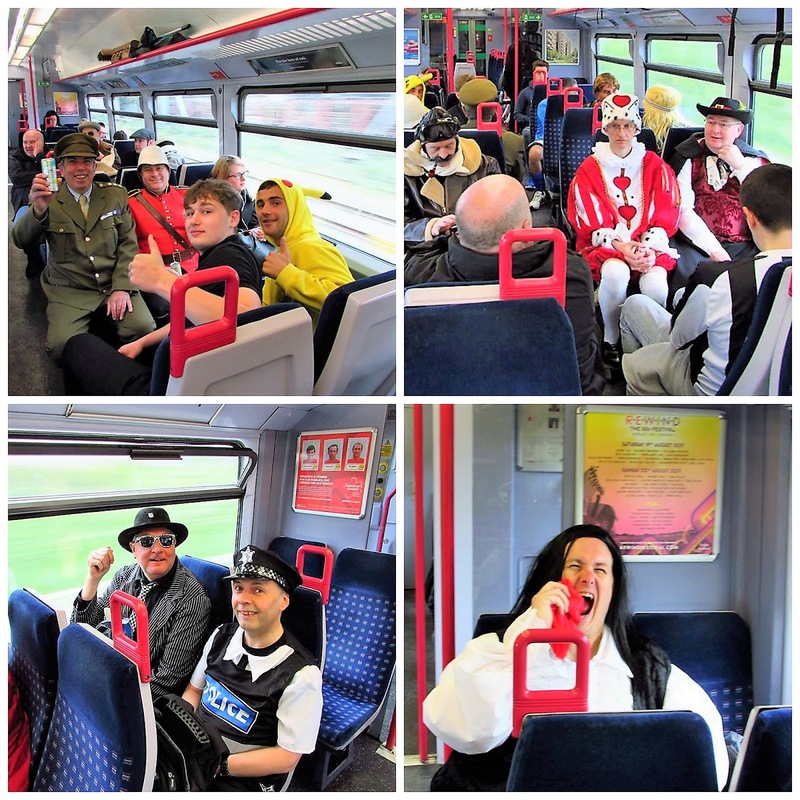 *** MORE FANCY DRESSLEMANIA LINKS: "Tell everyone you know, it's gonna be twelve in a row", Fancy Dresslemania XII (Dover), Fancy Dresslemania XIII (Billericay), FDXIII Photo Addendum (Billericay), Fancy Dresslemania XIV (Bishop's Stortford), Fifteen to One (Sutton), Fancy Dresslemania XV (Sutton), Fancy Dresslemania XVI (Weston-super-Mare).